WILL CONGRESS PARTY IN INDIA SPLIT AFTER 2019 ELECTION ? - Integration Through Media ....! WILL CONGRESS PARTY IN INDIA SPLIT AFTER 2019 ELECTION ? There appears to be an emerging view all over India that Indian National Congress party has descended to a new low level now in the post independent India. Earlier, Congress party had great stalwarts like Jawaharlal Nehru and Lal Bahadur Shastri , who occupied the Prime Minister’s chair with distinction, dignity and devotion. The fall in standards of Congress party really started when Lal Bahadur Shastri passed away. Now, Congress party has become a dynastic party for all practical purposes and no one can anymore aspire to become the President of the Congress party other than the family members of Sonia Gandhi. By associating Gandhi name with the Nehru family members , a deliberate attempt has been made to give an impression that the present Sonia family members represent the spirit of Mahatma Gandhi , which is not true. This gimmicks cannot anymore protect the image of the Congress party due to several negative recent developments in the party. The trend in the 2019 parliamentary election now clearly indicate that Congress party will not become the ruling party after the forthcoming parliament election. In 2014 poll, Congress party could win less than 50 seats in parliament. It appears that it will not significantly increase it’s number of seats in the 2019 parliament election. Some people think that it’s tally could even be less than the seats it won in 2014 poll. Realising such possible scenario, Congress party has been desperately seeking alliance partners to contest in the forthcoming poll. Most opposition parties , many of which are really family entities or under the control of single leader , have refused to treat Congress party as equal and the number of seats that Congress party would contest in such alliances has become less. In Uttar Pradesh , which turn out the largest number of MPs, Congress party has been forced to go almost alone ,as major regional parties have refused alliance with the Congress party. In such circumstances, one wonders as to what will be the future of the Congress party in India. While the Congress party is under the full control of single family now and only those who pledge their unreserved loyalty to this particular family will have positions in the party, there are certainly persons in the Congress party who can think beyond this single family. Unfortunately, they are keeping silent now and watching the developing scenario with apprehension. Having virtually lost the 2019 parliamentary poll already due to weak leadership provided by the present President of the party who has been using vituperative and un dignifiecd remarks unbecoming of the President of the Congress party and repeatedly going to the extent of calling the Prime Minister as thief and who became the President only due to his belonging to the family controlling the party,it is high time that the members of the Congress party should think and plan about 2024 parliament election. The primary requisite for the Congress party to rejuvenate itself is that quality of merit, capability and charisma should be the primary factors to attain leadership position in the Congress party. It is a million dollar question as to whether this would really happen, since this would be resisted vigorously by the family presently controlling the party. 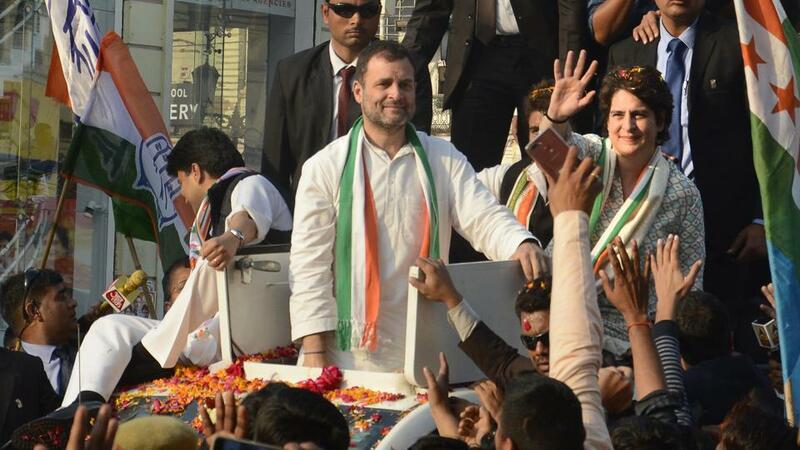 However, after seeing the likely dismal performance of the Congress party in 2019 election and facing the threat of becoming extinct from political scenario in the country in the coming years, it appears that it is inevitable that senior members of the Congress party would challenge the family controlled leadership of the party after 2019 poll. This would cause vertical split in the Congress party and it remains to be seen how the split would determine the future of the Congress party. It would be extremely unfortunate if the Congress party would go into history and become an insignificant player in Indian politics. It is high time that the members of the Congress party at various levels should think about this condition and introspect as to how to save the future of the Congress party.